If you haven't heard The Wizards Chronicles is shutting down on the 21st. 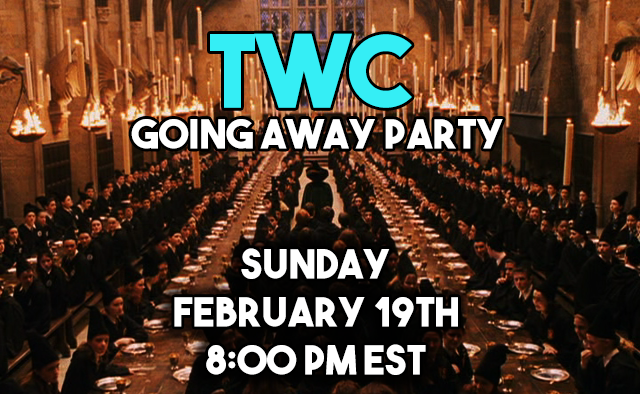 As a way to commemorate this amazing game and community which has lasted over 12 years, we'll be throwing a going away party on the 19th! Events: We'll just be hanging out in-game. Someone will DJ! Maybe some giveaways or actual events will be held too. Please spread the word on Skype, by word of mouth or any other means! Any recap for those who couldn't participate? Nah for real tho I wasn't there either so if there is any pictures post them so players who weren't there could see what they missed. Well you didn't really miss anything, a couple of people did get on and chat for a bit. Some people emptied their vaults and inventories all over the great hall, but mostly it was quiet. That drop rate bonus is still going on and it's pretty dope. Sorry I didn't come didn't even hear about it until I remembered just now it's supposed to be dead. Dam yo.. Someone should hit me up. but did someone take the source cause im logged on rn? Quote from: Odd Future on February 24, 2017, 02:43:15 am Dam yo.. Someone should hit me up. but did someone take the source cause im logged on rn? Nah.. It's just still up. I'm currently hosting a server 24/7 so you're welcome to join if you want to.